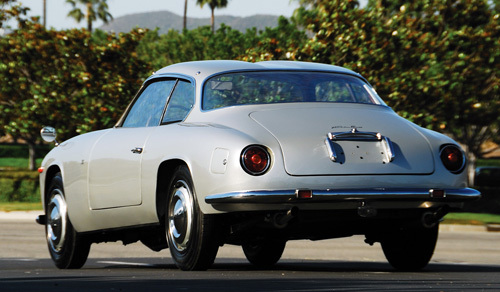 In 1957 the Lancia Flaminia initially debuted with coachwork by Pinin Farina, but came also available with coachwork by Carrozzeria Touring and Zagato, of which the latter's two-seater Coupe is the sportiest of all and probably the most highly sought after variant. They were exquisitely designed, expensive and exclusive, and featured a.o. the firm's trademark "double bubble" roofline and pop out door handles. All Flaminias were custom built and as a result they all varied in details. Zagato's Flaminia was built in multiple series. 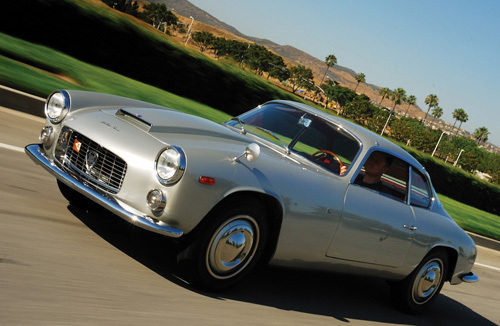 First came the Lancia Flaminia 2500 Sport, built in a number of 205 between 1959 and 1961. The first 99 examples were streamlined with faired-in headlamps, and from 1960 onwards vertical lights were introduced. Between 1962 and 1963, the Lancia Flaminia 2500 3C (three carburetors) Sport was built in a number of 174. 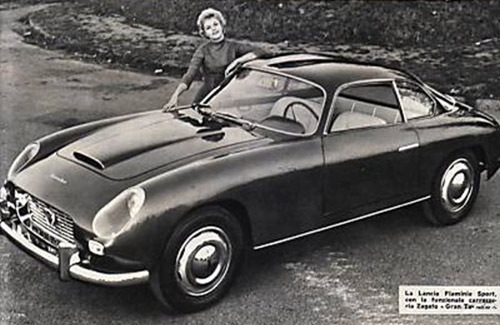 The next year the Flaminia 3C Sport became available with a 2,8 litre engine, of which only 33 examples were built. Next came the 2,8L Super Sport. This final version was built in a number of 187 between 1964 and 1967. This model featured a fastback rear end with a cut off tail and the recessed headlamps returned, some of which covered by plexiglass. 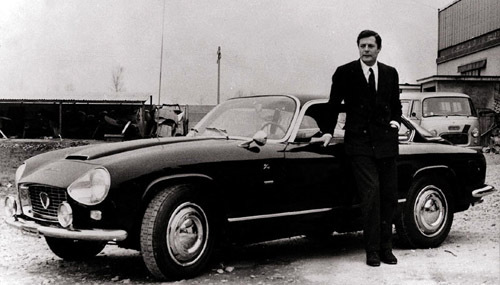 The very first car out of the 2800 3C SS series (chassis #826.232.014) was made for the famous Italian actor, Marcello Mastroianni. Like all Flaminias, this example was tailor made for the owner. Elio Zagato recalled: "We finished editing the car at the last minute, November 4 and we had not even had time to apply the model identification script on the trunk. I remember that I chose to mount on the dashboard all the wooden knobs, a detail that we no longer installed on other cars. The car was blue Mendoza, a new color and very stylish for the time. But Mr. Mastroianni did not like when he saw it at the Turin show and immediately asked if we could repaint it in dark chestnut brown color. He was to withdraw it from us at Terrazzano's workshop and was enthusiastic about the job." Zagato also made a few lightweight Specials for competition use, based on the normal Sport, but equipped with 154 hp engines. Click here to see more pictures of the various Flaminia versions. With thanks to our Forum members!